Factory Facts | McWane, Inc.
Clow Valve team member Rick Smith was reading an article in the Washington Post about the wild fires in California and noticed that the hydrant in the photo is a Clow hydrant produced at the Clow facility located in Corona, California. Cory Zwolinski also saw this same article on MSN.com. This picture was taken in Petaluma, about 20 miles south of Santa Rosa. With the death toll of at least 31, it’s become the deadliest week for wildfires in California’s history. We hope our products can help the firefighters get these wildfires under control and prevent further loss of property and life. After the recession in the 1990s, McWane made the difficult decision to close McWane Cast Iron Pipe Company (MCIP) located in Birmingham, Alabama. McWane divisions across the company were given the opportunity to transfer machinery/equipment from MCIP for use at their facility. We are pleased to report that MCIP’s Escher recuperator lives on at AB&I Foundry. It was a collaborative effort between McWane Corporate, AB&I and ECS of Birmingham, Alabama, to successfully dismantle and transfer the unit from Birmingham to AB&I in Oakland, California. Working out the logistics for moving the recuperator from one side of the country to the other tested everyone’s patience. But Ruffner Page had given a clear directive − to get out to McWane Pipe and make it happen because reusing the unit was the right thing to do. And that’s exactly what they did. During the recent winter shutdown, AB&I tackled the installation portion of the project. With some structural modifications to the cupola tower, AB&I was able to re-install the recuperator in the existing melt operations The recuperator weighs more than 74,000 pounds and is 65-feet long so they faced several challenges with the installation. The size and weight combined with the cupola tower structure meant AB&I had to rent the largest crane that Bigge Crane had to offer west of the Mississippi. The unit was fired up a couple weeks ago and AB&I is seeing better than expected recovery temperatures throughout the melt system. The improvements will enhance the melt operation and reduce furnace operating costs by reusing waste exhaust heat from the cupola in the melt operation. The size of the unit will also provide system stability and will allow for those times when they need to push the melt rate to meet production requirements. “It’s impressive that AB&I could take a large hot-blast recuperator unit, not originally designed for AB&I’s melt system, and make it work, while at the same time generating significant improvements to our efficiencies in the foundry,” said Kurt Winter, EVP of McWane Plumbing Group. In this case AB&I was able to reuse a perfectly good piece of equipment in the operation with huge savings to the overall project costs, Utilizing internal resources through reuse or recycling is always a win-win situation. The life expectancy of the unit should be in the neighborhood of twenty years or more. This project is a perfect example of team work and collaboration between the divisions. Everyone benefits from the net result. On a recent trip to India, McWane Chairman Phillip McWane and Chief Executive Officer Ruffner Page had the opportunity to see firsthand the McWane Services Private Ltd. (MSPL) operations that support McWane companies worldwide. They were impressed by the quality and support provided by each of the teams and the collaborative effort between MSPL and the McWane divisions in the U.S. They toured the Design, Product Development, IT/Help Desk, and Sales Support Services operations and discussed the various services with MSPL team members. There is potential for future expansion of these services to other McWane divisions that are not currently using these services. The tech team currently supports Synapse, Zinwave, and Nighthawk and the goal is to expand these services to the Indian market. This is an example of how McWane teams 10,000 miles apart can work together to pool their strengths and develop products for both the U.S. and Indian markets. The tech team demonstrated the use of the iron mesh and the Multihawk for Phillip and Ruffner as well as the proposed plans for introducing these products to the Indian market. Phillip and Ruffner were pleased to learn that MSPL plans to open a remote office in Bangalore, India. Additional labs that will work on remote metering solutions, condition monitoring, and water solutions are also planned for the future. Phillip and Ruffner also toured the valve plant and the valve testing and tooling facilities. The valve plant was set up in a record 6 months and is already supplying valves not only to South America and McWane Gulf, but has also entered the Indian market as well. The valves have been well received in the Indian market and we should see an uptick in sales in India in 2016 of the resilient gate, air release, check, and butterfly valves. In 2016, MSPL plans to expand the sizes offered and introduce and sell the metal seated and knife valves as well. The two-day visit to Coimbatore ended with a dinner hosted by the MSPL team in honor of the visiting senior executives from the U.S.
You can read the entire electronic article on The Wholesaler’s website or the full print article in PDF here. 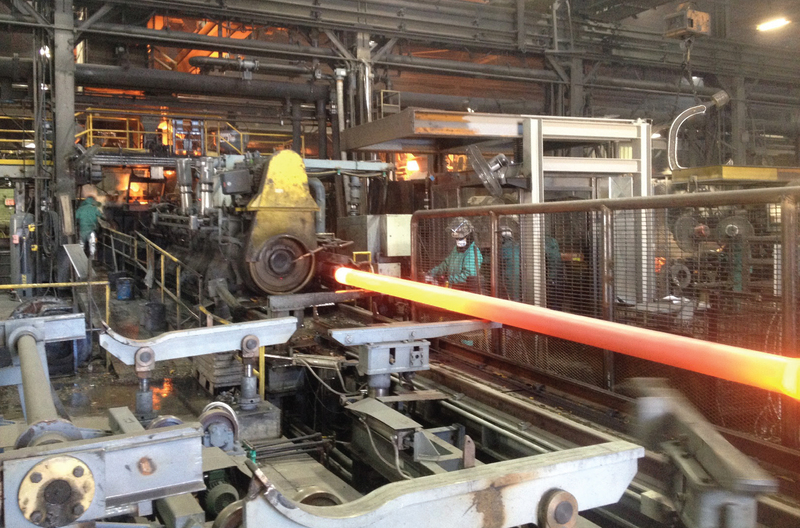 On January 7, a new, state of the art pipe casting machine began production at Pacific States! This new machine is faster than the older casting machine at Pac States and has two troughs, automatic core setting, and automatic pipe extraction. When Pacific States installed the casting machine in the first quarter of 2014, the facility didn’t simply upgrade technology—it secured a way to produce more quality, uniform pipes with fewer resources. As usual, there’s a lot going on at Pac States and, as usual, they’re making a difference for the better! The new casting machine—affectionately known as “Casting Machine A”—replaces two machines. Running at full capacity, it will produce approximately twice as much pipe as earlier machines and produce pipe with far more consistent wall thicknesses, thanks in part to Casting Machine A’s own hydraulic system that reduces fluctuations. The machine will be used primarily for 6”-12” pipe. This is also the first pipe machine of its kind in the McWane Ductile Pipe Group. Congrats to the whole team at Pac States for taking charge and making a difference in 2014! All that was required was the ability to flash some lights to alert airline personnel working outdoors as to the possibility of imminent lightning strikes. With lives at stake, delays were unacceptable. Nothing seemed capable of addressing the situation’s unique requirements until Synapse Wireless came to the rescue with its easy-to-deploy, wireless control and monitoring mesh network technology. Located between the cities of Dallas and Fort Worth in Texas, with six runways, multiple terminals, and numerous buildings covering over 18,000 acres, Dallas-Fort Worth (DFW) is the second largest airport in the United States and the fourth largest in the world. Now, Texas is known for extremely violent thunderstorms that roll across the state and that often produce a lot of lightning and hail. For many years, American Airlines predominantly resided in terminals A and C. Over the course of time, all of the systems in these terminals were fine-tuned to best meet their exacting requirements and standards. 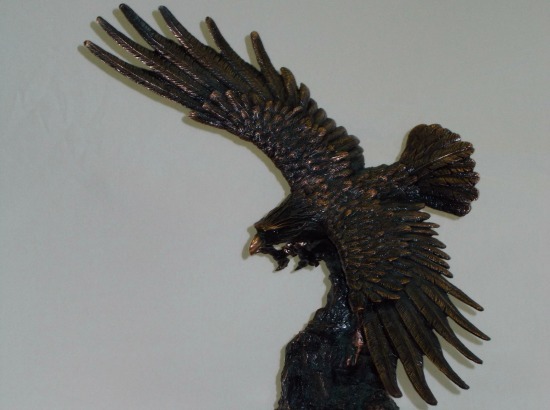 However, due to some recent changes American Eagle (a sister company to AA) relocated to Terminal B and the existing equipment could not be expanded to alert the employees of the danger. As fate would have it, while “cruising the Internet” looking for possible solutions, the Manager of the Engineering and Technical support team came across Synapse Wireless, who seemed to have the ideal technology in the form of their Synapse RF Engine modules. Small, light, and with extremely small power requirements, Synapse RF Engine modules have up to a 3-mile range. As soon as a group of these modules are powered up, they immediately self-form into a full mesh wireless control and monitoring network. Thus, all that was required was to install one Synapse RF Engine module close to the flashing light over which American Airlines did have control, and to use this to transmit signals to additional modules located at the other gates, where these modules could control the “slave” warning lights. The end result was to have a fully-functioning system in place well before the storm season commenced. Although the ramp personnel probably don’t know (or care) how “the magic” was achieved, they are doubtless more than happy to know that American Airlines “has their back covered” with regard to protecting them from lightning, and it’s all due to Synapse’s monitoring and control full-mesh wireless networking technology. Synapse is a proud member of the McWane Family of Companies. 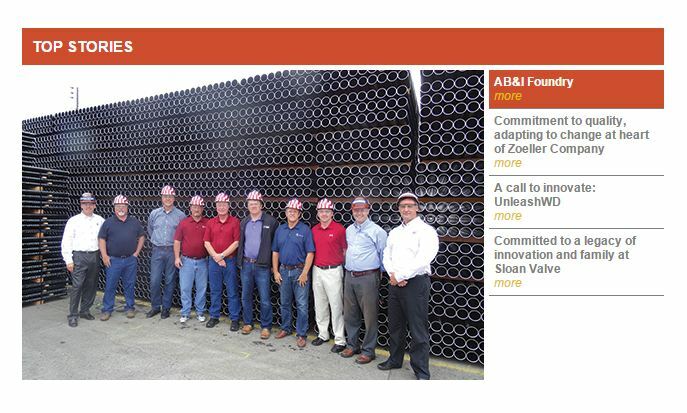 For more than a century, AB&I Foundry has been producing pipe and fittings for use across the country. From its site in Oakland, California, AB&I has made components for U.S. Navy submarines in World World II and bronze statues for Market Street in San Francisco. Building off the work of founder Joseph Boscacci, AB&I products are recognized for their superior quality and craftsmanship and are 100% “Made in America” from post-consumer recycled scrap material. But for all its history in Oakland, AB&I has been walled off from its community – literally. The foundry’s amazing work has been taking place behind a high wall tracing the edge of the property, wedged between Bay Area Rapid Transit (BART) train tracks and San Leandro Street. To transform the relationship between company and community, AB&I embarked on one of the largest public art projects of its kind in the area: a beautiful mural 253-feet long, eight-feet high containing 2,026 square feet of history and inspiration. With the city’s former luster dulled by years of economic uncertainty, AB&I’s efforts not only help beautify, they remind the community of all it has accomplished while inspiring it anew. Instead of bare walls, commuters on the BART train and drivers cruising on San Leandro Street are presented with a striking tableau of milestones, memories and moments of genuine civic pride. Block by industrial block, AB&I is transforming its community while celebrating both local history and its own. Initial scenes in the mural depict Boscacci making ornamental castings for the city and the foundry’s work on behalf of the nation during World War II. Later images illustrate AB&I’s pride in its city and neighborhood, with iconic renderings of the Oakland Zoo, the Oakland Raiders football team, Fox Theater and the Christ of the King Cathedral at Lake Merritt. 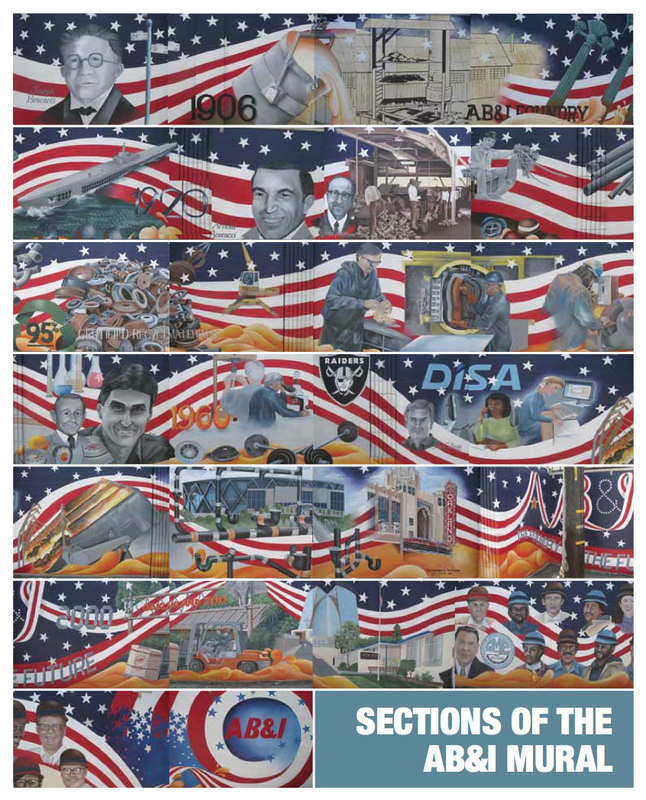 The richly detailed mural also honors team members who have worked at AB&I across its history. Murals have long been used to celebrate achievement, highlight important issues and inspire future generations to greatness. From Michelangelo to Diego Rivera to contemporary art prankster Banksy, the mural is art in one of its most vital forms – directly engaging us in our everyday lives, sharing beauty and inviting new optimism for tomorrow. With so much value in the images, finding the right artist was paramount. Luckily for AB&I, acclaimed Bay Area painter Jean Bidwell from Castro Valley embraced the commission and embraced AB&I’s commitment to community and sustainability by including visuals celebrating the foundry’s accomplishments alongside those of the surrounding community. AB&I’s deep involvement in its community goes far beyond the pigments and personalities used in the mural. For over two decades, AB&I has made environmental concerns a top priority, investing $10 million in environmental technology and training to set an industry standard for cleanliness and environmental responsibility. Its community faces more threats than just environmental ones, which is why AB&I has also helped law enforcement get guns off of the streets by taking in over 50,000 weapons and melting them down. This provides local law enforcement a cost-free way to permanently keep guns out of the wrong hands. AB&I also gives specialized confined space rescue training to new Oakland firefighters. There’s been a lot to celebrate in the more than 100 years since Joseph Boscacci cast his first iron in his backyard. And now, there’s an appropriately sized canvas for this story to finally be shared with the community. We just hope that there is room enough saved on the wall so that AB&I’s future accomplishments can be artfully memorialized too! At the McWane family of companies, we make the pipe, valves, fire hydrants and fittings that together build our nation’s water infrastructure. With more than 25 foundries and manufacturing plants across North America, we are the largest manufacturer of waterworks products in the country. McWane was founded in 1921 in Birmingham, Alabama, by J.R. McWane as the McWane Cast Iron Pipe Company. Over decades, McWane acquired numerous companies to aid in its efforts to supply the country with clean water and removing waste safely. Over the years, McWane’s pursuit of perfection has led to consistent and positive recognition. The company has received a substantial amount of awards by division and also through McWane as a whole. McWane proudly boasts recognition in the Occupational Safety and Health Administration’s (OSHA) Voluntary Protection Program (VPP) which recognizes exemplary health and safety programs. Fewer than 1% of all U.S. workplaces have earned admission into the VPP, and no other company in the waterworks foundry industry has a single plant in the VPP program. McWane has seven. Today, the company is led by Chairman Phillip McWane and conducts business throughout North America and the world. Its major plants by industry include four pipe facilities, four valve and hydrant facilities, seven soil pipe and utility fittings facilities, seven tank manufacturing facilities and one fire extinguisher facility. Comments Off on What is McWane, Inc.?